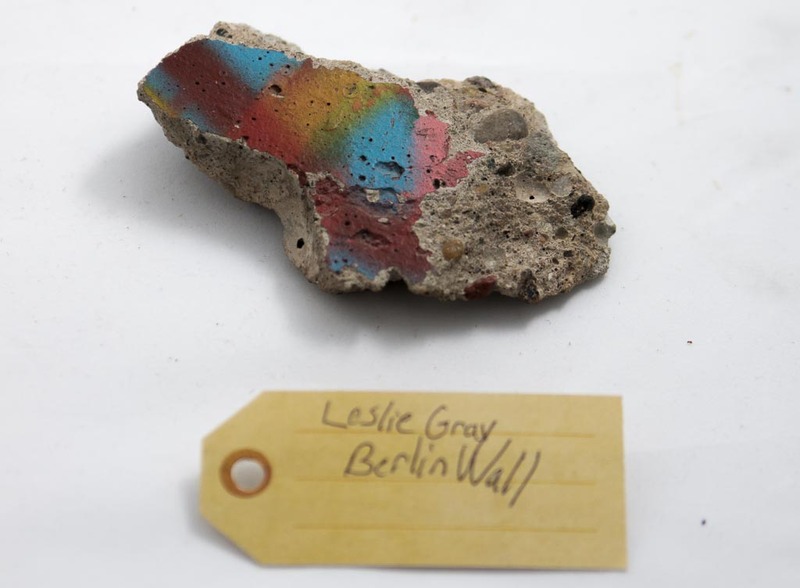 Piece of Berlin Wall | That Belongs in a Museum! I have a piece of concrete. This concrete was acquired when I was about eleven years old. I was raised by my mother and her next door neighbor was in the military and was stationed in Germany; this was about 1989. And so we went over there [to Germany]…and [parts of] the [Berlin] Wall [were] still standing because it had just fallen…it hadn’t been totally obliterated yet. And it was basically like an Eastern Bloc flea market…and they were still using marks in Germany at that time, and so you would just give them marks and they would take their sledgehammers and break you off a hunk [of the Berlin Wall]. …I’ve lived in Richmond, Virginia; Raleigh, North Carolina; New York City, and now Chicago…this is the one thing I’ve always had.